Chairman of the Vietnamese National Assembly’s Committee for External Relations Nguyen Van Giau made the statement while receiving a delegation of Japanese parliamentarians in Siem Reap, Cambodia on January 15 on the sidelines of the 27th Asia-Pacific Parliamentary Forum (APPF) Annual Meeting (APPF-27). The Japanese delegation was led by Takuji Yanagimoto, head of the Japanese Delegation to APPF-27 and Representative of Honourary President of the APPF Yasuhiro Nakasone. Takuji spoke highly of the Vietnamese NA’s efforts in hosting the APPF-26 last year, affirming that Vietnam is a leading partner of Japan in Southeast Asia. Sharing views with Giau, he said in addition to the enhanced political exchange and trust between the two countries’ high-ranking leaders, via bilateral and multilateral parliamentary diplomacy, the legislatures of Vietnam and Japan will contribute to strengthening the parliamentary partnership for peace, security and sustainable development in the Asia-Pacific region. Giau and Takuji noted with pleasure the regular exchange of visits by the two countries’ senior leaders, including those to Vietnam by the Japanese Emperor and Empress, and Prime Minister Shinzo Abe in 2017. President Tran Dai Quang and Prime Minister Nguyen Xuan Phuc’s visits to Japan in 2018 opened up a new development stage of the bilateral ties in a more comprehensive and practical manner. The Vietnamese official said he is pleased with the strongly developing economic, trade and investment cooperation between Vietnam and Japan, stressing that Vietnam considers Japan a leading and long-term partner. He expressed his wish that the two sides will continuously expand their effective and pragmatic relations in all fields, meeting the aspirations of the two countries’ businesses and people as well as for peace and prosperity in the region and the world. In the overall Vietnam-Japan relationship, the collaboration between the two legislative bodies has been developing fruitfully with the regular exchange of high-ranking delegations and discussions on the Comprehensive and Progressive Agreement for Trans-Pacific Partnership (CPTPP) and other issues of common concern, he said. At the meeting, Giau and the Japanese parliamentarians exchanged their views on opportunities and challenges from CPTPP and expressed their delight at the recent strengthened cooperation between friendship parliamentarians’ groups and localities as well as people-to-people exchange. The number of Vietnamese students in Japan is increasing day by day and the Vietnamese community in Japan now surpasses 290,000, four times higher than the figure five years ago. The Japanese lawmakers hoped that the two sides will well implement the signed cooperation documents in education and labour. Giau also expressed his wish that with efforts by both sides, the Vietnam-Japan University in Vietnam will become a symbol of educational cooperation between the two countries. The Lao State has conferred the Labour Order and Labour Medal on several outstanding individuals and collectives of the Communist Party of Vietnam (CPV) Central Committee’s Office in recognition of their significant contributions to Laos’ cause of information, culture, and publication in 2005-2013. 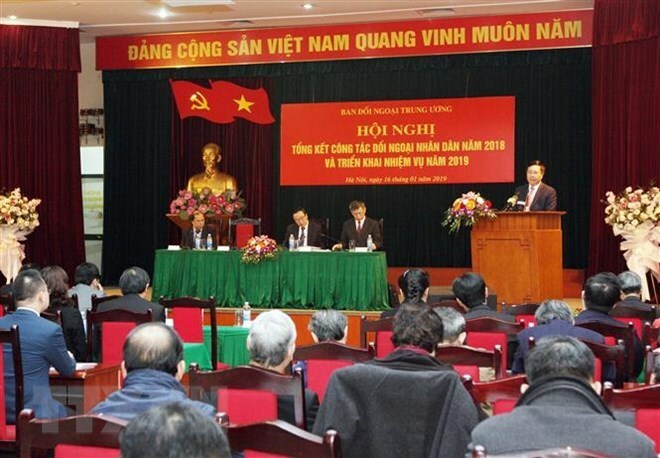 A ceremony was held in Hanoi on January 16 for the presentation of the noble decorations, under the chair of Nguyen Van Nen, head of the CPV Central Committee Office, and Bosengkham Vongdala, member of the Central Committee of the Lao People’s Revolutionary Party and Minister of Information, Culture, and Tourism. On behalf of the Lao President and Prime Minister, Vongdala presented the first- and second-class Labour Orders to two individuals; Labour Medals to four collectives and six individuals; and a Certificate of Merit to one individual from the CPV Central Committee’s Office. 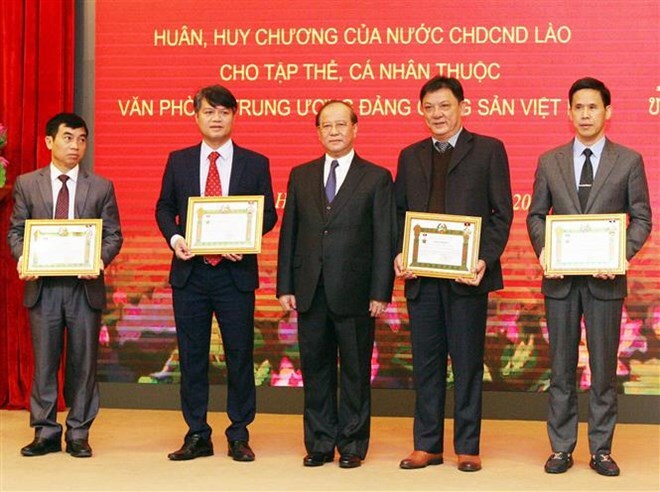 The Vietnamese official said his office has organised a number of cooperation activities with their Lao counterparts and carried out many support projects in the neighbouring country. In 2005-2013, the two sides coordinated on professional training in archives, libraries, and information technology application, he said. From 2013 to present, the Vietnamese office has carried out a wide range of activities and cooperation projects with Lao counterparts in the fields of information, culture, and publication, he added. The bilateral cooperation outcomes over the past few years demonstrate the traditional friendship, special solidarity, and comprehensive cooperation between the two countries’ parties, states, and peoples. He suggested the two sides promote bilateral relations in all fields for the sake of their peoples, as well as for peace, stability, cooperation, and development in the region and the world. Deputy Prime Minister and Foreign Minister Pham Binh Minh has requested the continued effort to better tap into the strengths of people-to-people diplomacy during a conference in Hanoi on January 16 to review the Party Central Committee’s Commission for External Relations’ 2018 activities and launch its 2019 tasks. He suggested renewing approaches to increase cooperation and attract external resources, especially in non-governmental aid to service socio-economic development in the fields of poverty reduction, post-war recovery, healthcare, education, environmental protection, climate change, and workforce training. The Deputy PM also proposed pooling resources in capital, technology, and workforce via expanding the involvement of people from all walks of life, including overseas Vietnamese and local firms . The Deputy PM called attention to improving the efficiency of popularising news for foreign service by actively fighting wrongful allegations by hostile forces, and seriously and fully abiding by current regulations on managing external activities. The Commission for External Relations, the Vietnam Fatherland Front, mass organisations, and ministries and agencies were asked to offer consultancy to the Party and State leaders about building vision and a long-term strategy for people-to-people diplomacy, especially at a time when the country is preparing to build diplomatic guidelines for the 13th National Party Congress, the Ministry of Home Affairs, the Ministry of Foreign Affairs, and the Ministry of Planning and Investment. They were also assigned the task of reviewing relevant legal documents in line with the law. The leader called for close and effective collaboration among the Party, State, and people-to-people diplomacy to create a collective power. 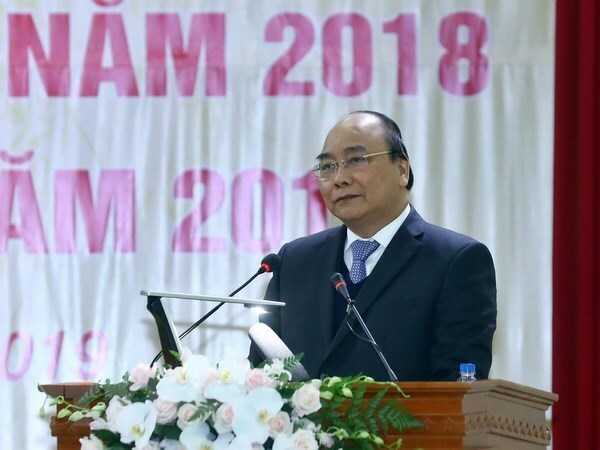 Concluding the meeting, head of the commission Hoang Binh Quan promised to acquire the Deputy PM’s suggestions and launch an emulation campaign on people-to-people diplomacy. On the occasion, 10 individuals were honoured with the insignia “For the cause of people-to-people diplomacy”, while four collectives received the emulation flag. Twenty collectives and 13 individuals were also conferred on Certificates of Merit in the field for 2018. Speaking at a teleconference held in Hanoi on January 16 to review the Ministry of Planning and Investment (MPI)’s 2018 activities and launch its 2019 tasks, the Deputy PM said the year ahead is especially important to realising the 2016-2020 socio-economic development plan, requiring the economy to make more powerful acceleration as it prepares to enter the new decade. 2018 was the first year that all the targets assigned by the NA were met and surpassed, along with a gross domestic product (GDP) growth of 7.08 percent – an 11-year record and higher than forecasts by domestic and foreign organisations. The consumer price index was also curbed at 3.54 percent, while growth quality improved. In 2018, the sector uncovered economic violations involving almost 34 trillion VND (1.47 billion USD) and 34,000ha of land. They proposed nearly 30 trillion VND and over 1,000ha of land be revoked, and over 2,000 collectives and people be given administrative punishments. Inspectorates nationwide transferred 96 violation cases involving 151 people to investigation agencies. Statistics show that last year, inspectors helped state administrative agencies receive nearly 395,000 citizens with over 271,000 cases, handle 177,000 petitions, and deal with nearly 24,000 cases under their jurisdiction. Through these activities, about 3 trillion VND and 100ha of land were proposed to be revoked and returned to the State and citizens. The sector also proposed administrative penalties for 469 people and transferred six cases involving eight people to investigation agencies. 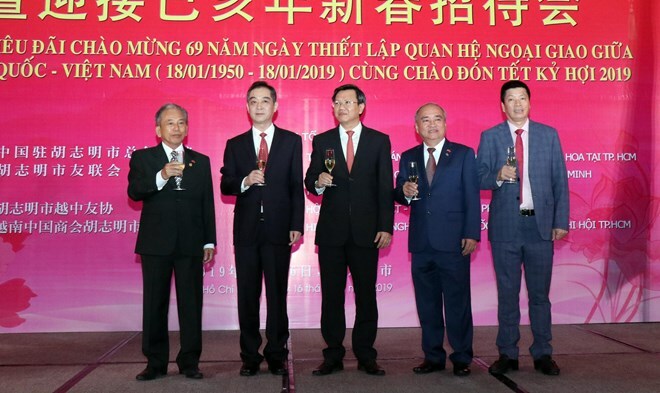 The Ho Chi Minh City Union of Friendship Organisations and the Chinese Consulate General in the city held a banquet on January 16 to celebrate the 69th founding anniversary of Vietnam-China diplomatic ties (January 18, 1950). 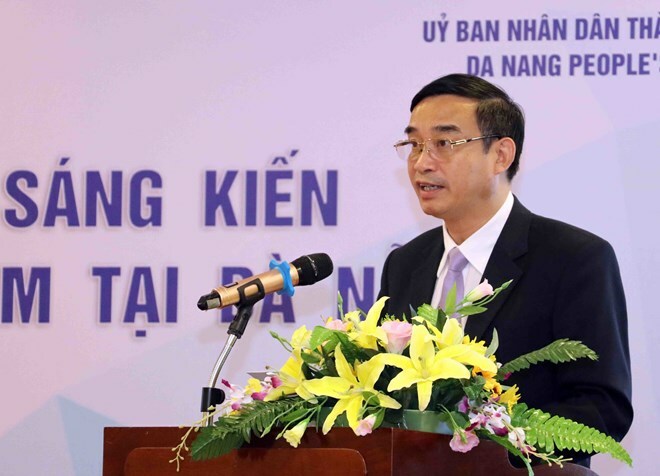 Director of the HCM City Department of External Relations Le Quang Long said over the past years, with both sides’ efforts and determination, the Vietnam-China comprehensive strategic cooperative partnership has sustained the upward trend and gained encouraging outcomes. The biggest achievement is that the two countries have unceasingly enhanced political, diplomatic and economic connections, thus greatly contributing to each nation’s development and stature improvement, he noted. The official added that relations between HCM City and Chinese localities have also recorded numerous positive outcomes in delegation exchange, investment and trade. HCM City always attaches importance to strengthening cooperation with Chinese localities. It believes that the sound Vietnam-China relationship will be a prerequisite for fruitful and mutually beneficial collaboration between the city and ministries, sectors and localities of China, Long emphasised. For his part, Chinese Consul General to HCM City Wu Jun said the two countries intensified their relations in 2018. They made use of the 10th founding anniversary of the comprehensive strategic cooperative partnership to reinforce mutual political trust, promote economic-trade links and step up people-to-people exchange. China hopes that bilateral ties will continue to enjoy more developments, and the mutually beneficial cooperation in all fields will be solidified, thus bringing practical benefits to both countries’ people, he said. Southern localities of Vietnam, with HCM City at the centre, have maintained close partnerships with Chinese provinces and cities in agriculture, science-technology, tourism and people-to-people exchange. 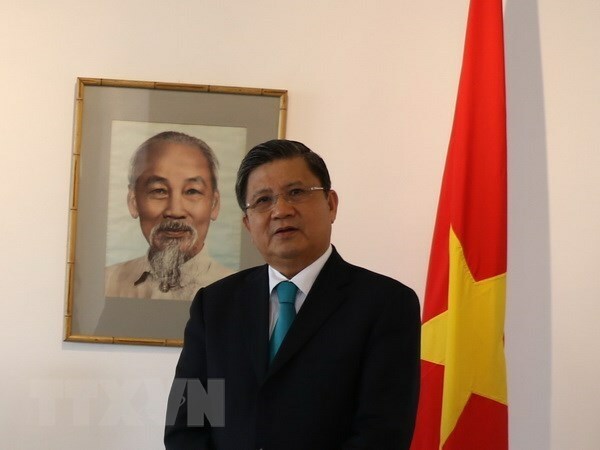 The diplomat added his Consulate General will keep coordinating with HCM City and other southern localities of Vietnam to facilitate cooperation between them and Chinese counterparts. Sen. Lieut. Gen. Nguyen Trong Nghia, Deputy Director of the Vietnam People’s Army’s General Department of Politics, extended congratulations to Laos over the 70th founding anniversary of its People’s Army while visiting the Lao Embassy in Hanoi on January 16. 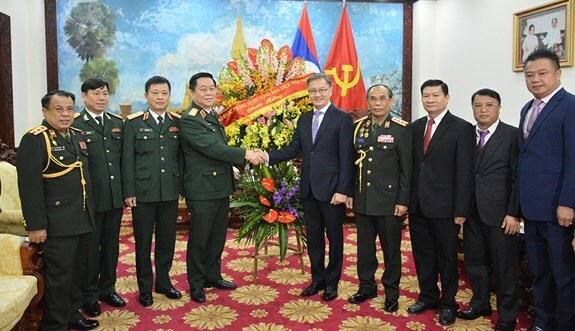 On behalf of the Vietnamese Ministry of Defence, Nghia congratulated Lao Ambassador Thongsavanh Phomvihane and the military attaché on the occasion, and conveyed messages of congratulations to the leaders of the Lao Ministry of Defence, and its People’s Army officers and staff. As Vietnam considers occasions of this sort as one of the large national celebrations, a wide range of activities have been organised to popularise the special friendship between the two armies and peoples to the younger generations, he stressed. For his part, the Lao diplomat thanked Nghia for his congratulations, and affirmed that he will do his utmost to develop and treasure the traditional friendship and special solidarity between the two armies and peoples. 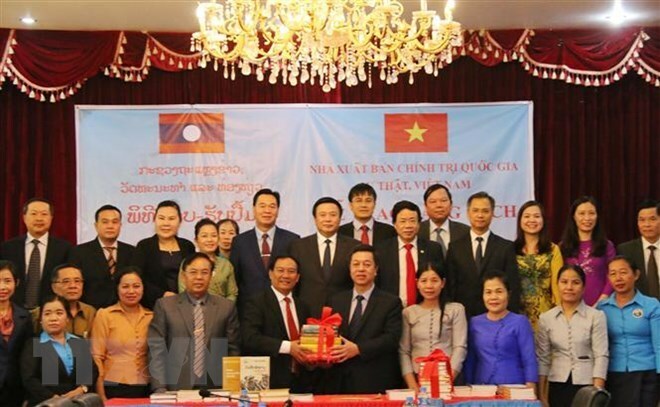 The National Political Publishing House on January 16 presented the Lao-version copies of political theory books to the Lao Ministry of Information, Culture, and Tourism (MoICT). A total of 1,000 copies in 15 titles were handed over to the Lao side at a ceremony held at the headquarters of the MoICT. 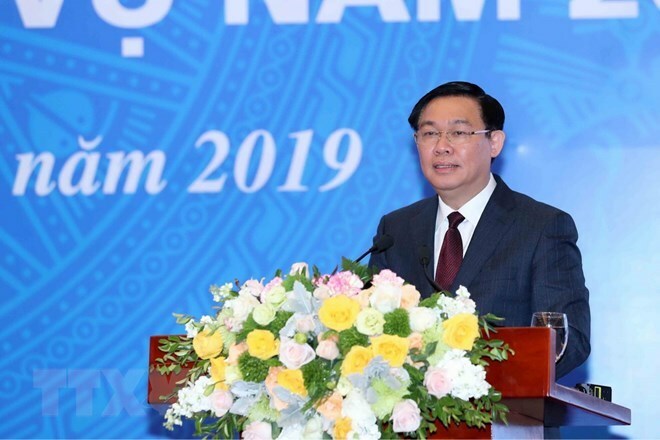 Addressing the ceremony, MoICT Deputy Minister Buangeun Saphuvong thanked the Vietnamese Party, State, and people for their wholehearted support to Laos and the ministry in particular. The Lao Party and Government always highly value and attach importance to cooperation between the parties, states, and peoples of the two countries, he said. The official said the present is significant to the research and study work, adding that his ministry will closely coordinate with relevant Lao agencies to popularise the books among officials and Party members, especially youths. He also highlighted the friendship and fraternity between Vietnam and Lao amidst complex and unexpected developments of the global situation.